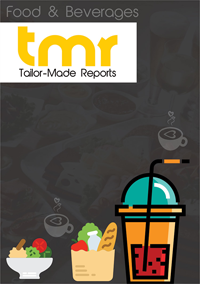 Kosher salt market has dispersed across the globe due to the growth of the food and beverages industry. The market is expected to grow at a stupendous rate as against the market for common salt due to the popularity of the former amongst people. There is a wave of awareness about the benefits of kosher salts which are believed to be nutritionally rich as against common salt. This makes the market for kosher salt immensely productive expanding it in value and magnitude. The household applicability of kosher salt is the greatest plus point for the propulsion of its market as these salts are finely granulated. It is prophesied that the market would trace a trajectory of stupendous growth in the coming years, partly owing to the awareness regarding the benefits of kosher salt and majorly due to its cook-savvy texture. Kosher salts have become the favorite in the realm of cookery due to their ease they offer while cooking. A number of experts recommend the usage of kosher salt which trickles its demand amongst the common masses. An important distinction of this salt is the reduced intensity of the tart that kosher salt gives which helps in preventing food from becoming overly salty, thus, making it the top preference across all aligned domains. Kosher salt is also researched to be purer than common salt and its fine texture adds on to its perks. The demand within the market has been rising due to the aforementioned factors and with an ascending graph of awareness, the market could reach fruition. Cooking meat is especially facilitated with the use of kosher salt, and hence, the near omnipresence of meat recipes across the globe bolsters the market. As the food and beverages industry moves ahead and grows in magnitude, the kosher salt market is projected to witness immense growth. Well-reckoned chefs have promoted the use of kosher salts through their recipes, thus, infiltrating the importance of these salts amongst the masses. The coarse texture of kosher salts alongside their larger surface area of the granules makes them easy tenderizers of foods. Kosher salts market has been restrained by its unavailability across certain geographical pockets. Moreover, research suggests that kosher salt has low iodine content which has often led certain research entities to suggest inhibition of its use. However, the pros of using kosher salts outstrips the cons, which is expected to continue bolstering the market. The regional analysis of the market reveals that North America is expected to be the most attractive region with regards to the consumption of kosher salt in the coming years. In the U.S. the high levels of awareness with regards to the use of kosher salt would propel the market. The various regional segments include North America, Latin America, Asia Pacific, Europe, and the Middle East and Africa. The pervasiveness of the market would keep proliferating its growth prospects across the globe. Qingdao Huifenghe Msg Co., Ltd. (Shandong, China),K+S Windsor Salt Ltd. (Kassel, Germany), and Redmont, Inc. (Utah, U.S.) are some of the key players in the market.